Last Friday was my birthday, not one of the big ones the next O is a couple of years away but still a special one in many ways. 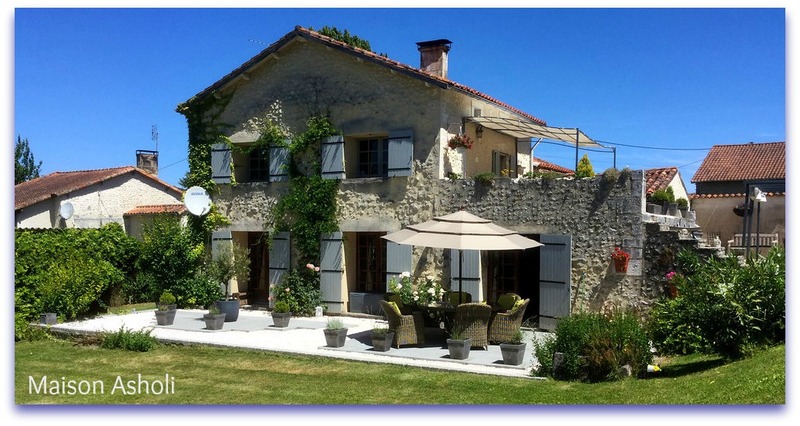 On the previous day we had driven down to the Pays de la Loire region of France to stay overnight at the Manoir du Moulin, in the small town of Sainte Hermine in the Vendee. 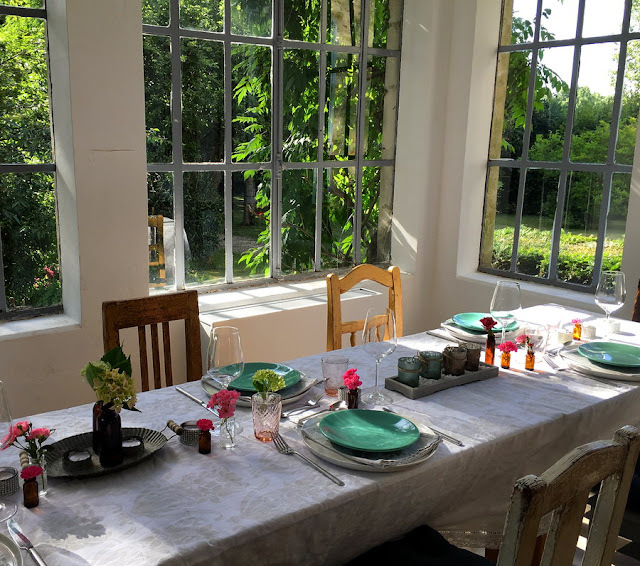 Looking at the pretty garden through the breakfast room windows whilst enjoying our petite dejeuner was a lovely start to the day. 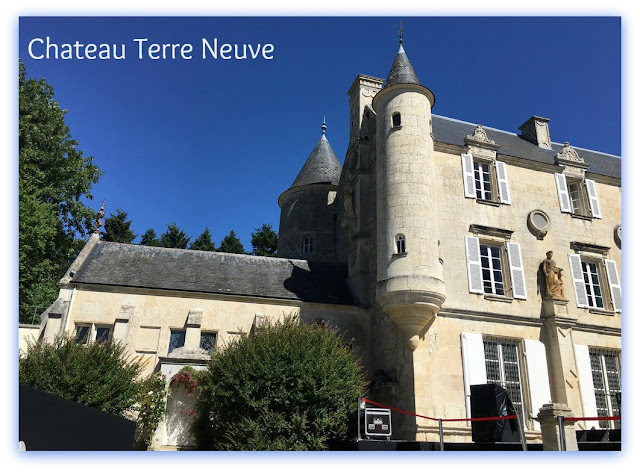 On our way to our next destination, Maison Asholi in the tiny hamlet of Bouteilles Saint Sebastian over in the Dordogne, we stopped off in the pretty town of Fontenay le Comte to visit the Chateau Terre Neuve. We had a wonderful tour of the Chateau. Our guide, Eve, was delightful and took great pride in telling us about it's history. The Chateau visit deserves a post of it's own and once I've reviewed all the photographs that I took during the tour I'll be telling you more about that wonderful place very soon. Later that afternoon we arrived at Maison Asholi and received a warm welcome from our B & B host, Beverley. 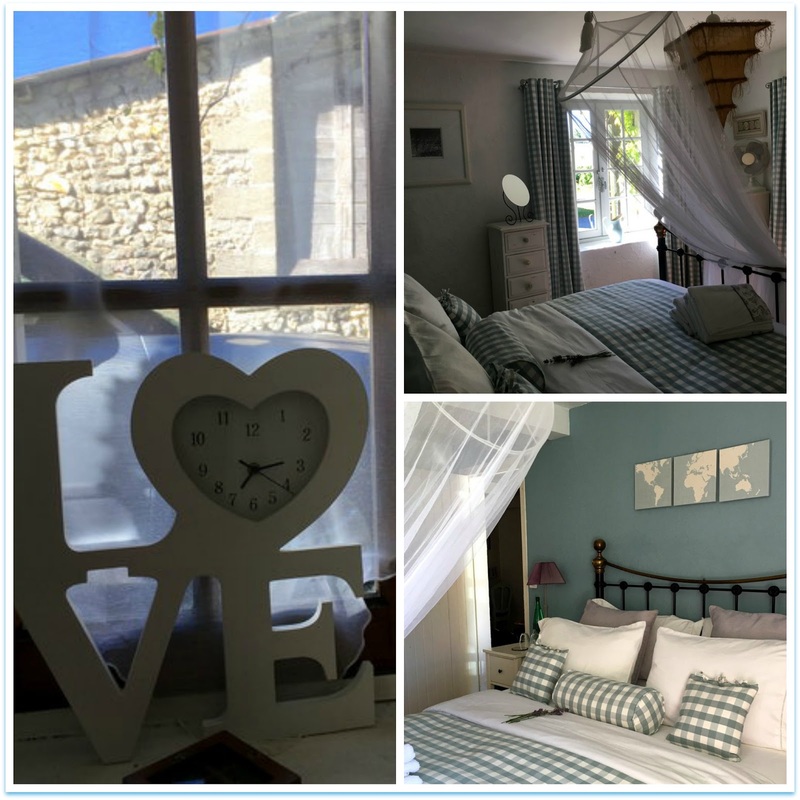 Just look at our pretty bedroom! 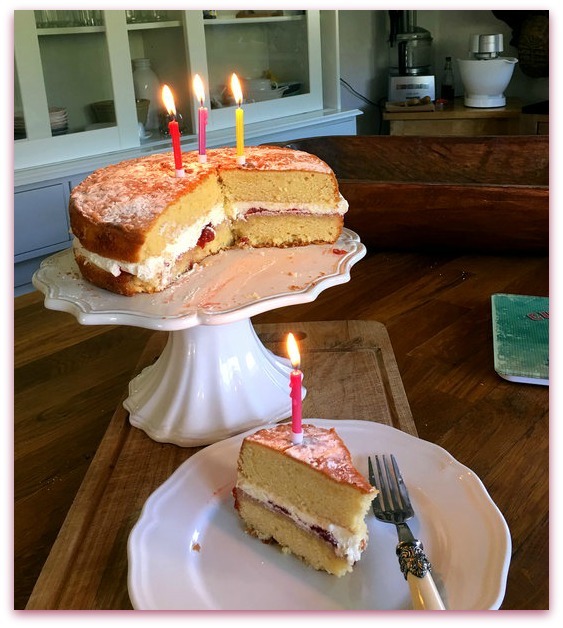 As we sat outside basking in the glorious sunshine and admiring the garden Beverley brought out a birthday cake that she had baked specially for me, complete with candles! In the evening the SP took me to dinner at "a table" a quirky restaurant @ La Lumiere B & B owned and operated by two English women in the nearby hamlet of La Guide. 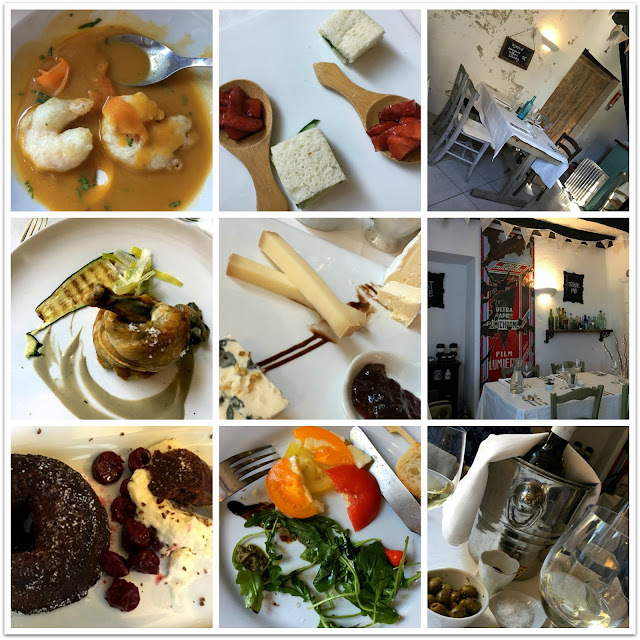 The restaurant is small, it seats just 36 diners in two downstairs rooms of what once was an ancient French farmhouse and has a usp I've not encountered before. 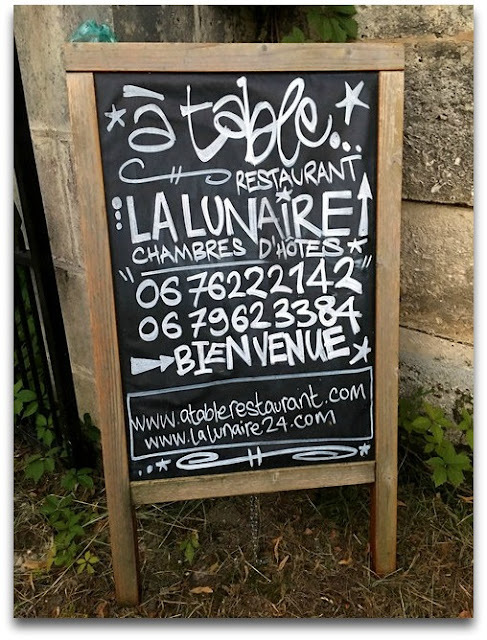 Dinner is by reservation only, there is no menu (although they do have a short wine list), and all the tables are served at the same time. As each course is dispatched from the tiny kitchen it is delivered to the table by a server along with a short description of the dish. 6 courses over 3 hours, quite an experience and one that made this birthday a birthday to remember. You may have noticed that I've become a fan of the Waterlogue app after seeing the wonderful images created by Sarah @ Hyacinths for the Soul a week or two ago. It's so easy to use and such fun! Belated Happy Birthday, Maggie! It sounds like a lovely celebration in some very scenic places. The meal looks amazing! I'm looking forward to seeing your photos of Chateau Terre Neuve! Have a wonderful week. A wonderful time celebrating your Birthday Maggie. I am glad you shared with us today. Thank you for your 89th Mosaic Monday, as always, a pleasure to join in and visit. Happy Birthday - and what a wonderful way to celebrate. Happy Birthday, Maggie! It looks like you had a wonderful celebration! Belated Birthday Greetings Maggie. Glad you had a nice day. I luv Birthdays, can never have enough of them. I'm a February birthday star. Did i say star. Well, aren't we all. Happy Mosaic Monday, thank you for being the lovely hostess you are. Wow.....what a wonderful birthday treat! I look forward to seeing more of the chateau. Belated birthday greetings Maggie. Happy Birthday! It really does sound special! Amazing to have a nice 6 course dinner. I'm not sure I have that much dinnertime conversation. 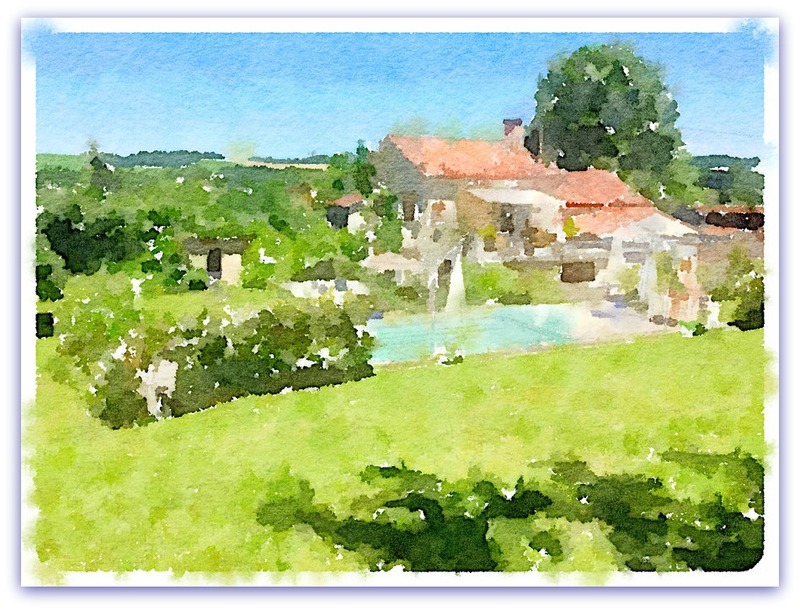 And I love your waterlogue photo. I haven't done that in a long time and think I'll see what my library looks like in that app! Happy MM! Many happy returns of your special day, Maggie. Looks like you had great fun! Happy Birthday, Maggie! Lovely photos and mosaic! Dear Maggie, Happy Birthday and thank you for taking us along on your beautiful trip. Your waterlogue photo is a winner. The App works beautifully on many photos and not wo well on others. Yours is a keeper. Thank you so much for hosting ...it’s good to be home again! Your birthday trip looks amazing! A perfect way to celebrate. And the country scene is perfect in watercolors! Maggie - you go to the most beautiful places. Every one of them full of simple delights such as a garden view during breakfast. You deserved to be treated royally for your birthday, and that came through in your photos. Belated Happy Birthday! And thanks for hosting MM! Many Happy Birthday Wishes to You! Looks like you had a wonderful birthday celebration. Fun to see your delightful images. Thanks for hosting! Happy birthday! what a lovely way and place to spend your birthday. It looks like a truly delightful place to visit, and it looks like you had a lovely meal to celebrate. Enjoy the rest of your week! Oh Maggie! Happy birthday! Wow -- what a wonderful way to celebrate. It really looks like a fabulous destination and I'll be eager for your next post as well. That dinner is making my mouth water! If you do this for now, what could top it when you hit a zero?! 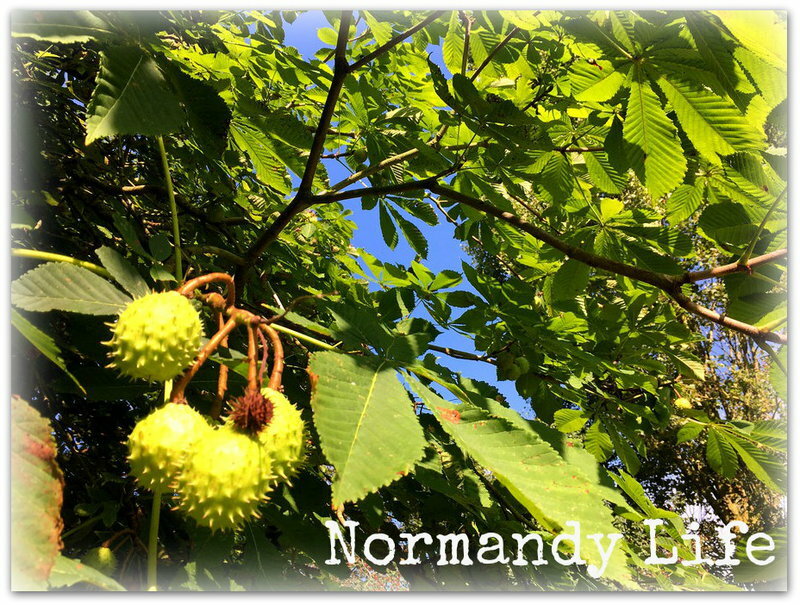 Loved visiting your blog and seeing belle Normandie! I'd love to move into that beautiful bedroom. Happy birthday wishes! Happy belated birthday, Maggie! I was a bit under the weather so didn't stop by on Monday. And it sounds like it was a wonderful celebration! Maggie, Happy Birthday. You had a wonderful trip! Love B&Bs. Love the watercolor. Is that from a photo? What does the original photo look like? Have a great week. Sylvia D.